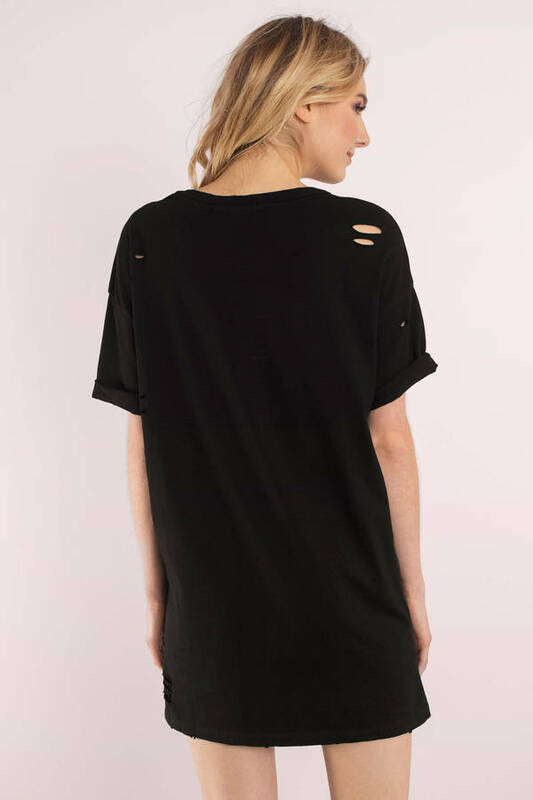 Check out Tobi's Bay Area Distressed T-Shirt Dress How we dress down in the Bay. 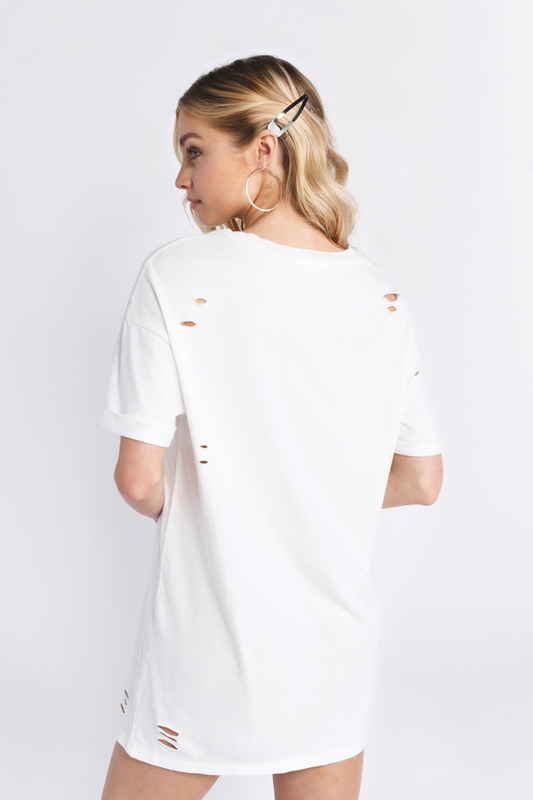 The Bay Area White Distressed T-Shirt Dress does downtime right with its scoop neckline, dropped shoulders and slash detailing. You'll love this casual day dress with booties and a denim jacket for weekend coffee dates and concerts. How we dress down in the Bay. The Bay Area White Distressed T-Shirt Dress does downtime right with its scoop neckline, dropped shoulders and slash detailing. You'll love this casual day dress with booties and a denim jacket for weekend coffee dates and concerts. How we dress down in the Bay. 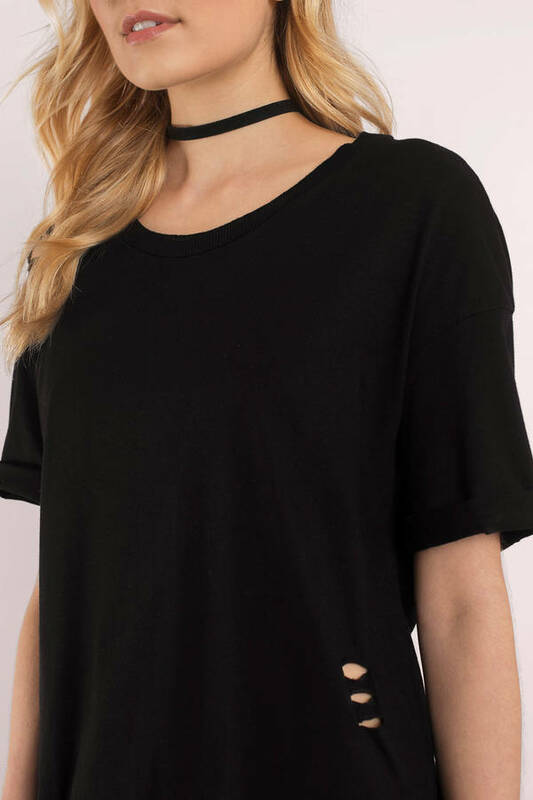 The Bay Area Black Distressed T-Shirt Dress does downtime right with its scoop neckline, dropped shoulders and slash detailing. You'll love this casual day dress with booties and a denim jacket for weekend coffee dates and concerts.